Zaragoza 1916- San Lorenzo del Escorial, Madrid, 1987. He is a Spanish self-taught abstract painter primarily , although at the beginning he was figurative. After the Spanish Civil War he was exiled to France, where Viola writes for a magazine of surrealist poetry. At that point begins its activity in painting , he meets the greatest artists of the moment. In 1949 he returned to Spain but not losing touch with the Gauls Artists. 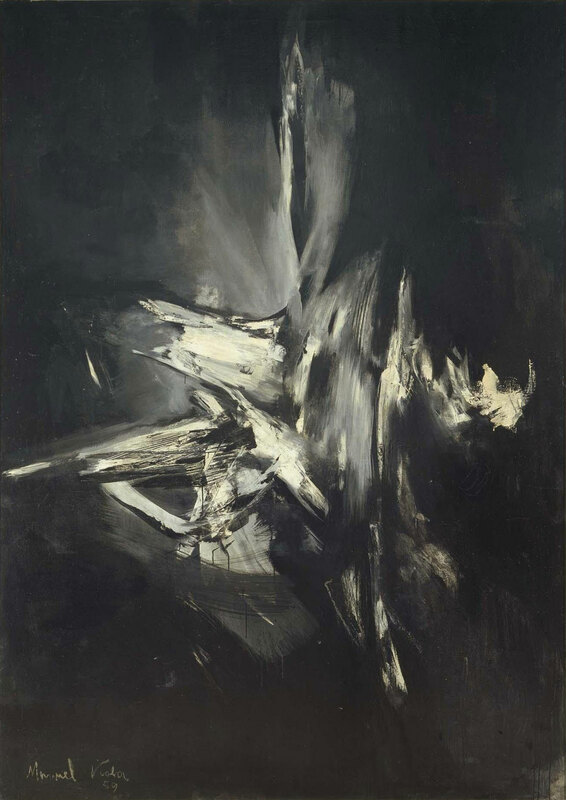 In 1958 he joined the Pictorial Vanguardist Group El Paso, which were among others like Antonio Saura and the sculptor Pablo Serrano. It is from then that his work becomes abstract . In the Line of Abstract Expressionism. It works mainly chromatic and lighting aspects. In the early years of the group enter his palette is monochrome, black and white with a wide range of grays. He exhibited almost all the Spanish geography. Also in Miami, Santiago de Chile, Quito , Lima , He exhibited through almost all the Spanish geography. Also in Miami, Santiago de Chile, Quito , Lima , New York , Paris, etc. Among its most interesting exhibits include: The Retrospective at the Museum of Contemporary Art in Madrid, La Lonja de Zaragoza, and in the Gaudí Hall in Barcelona. In this city, he received the Gold Medal.